Celebrate all things dog at the latest Pop-In@Nordstrom where you can find a wide assortment of exclusive apparel, accessories, toys, treats and surprises for dogs and the humans who love them. 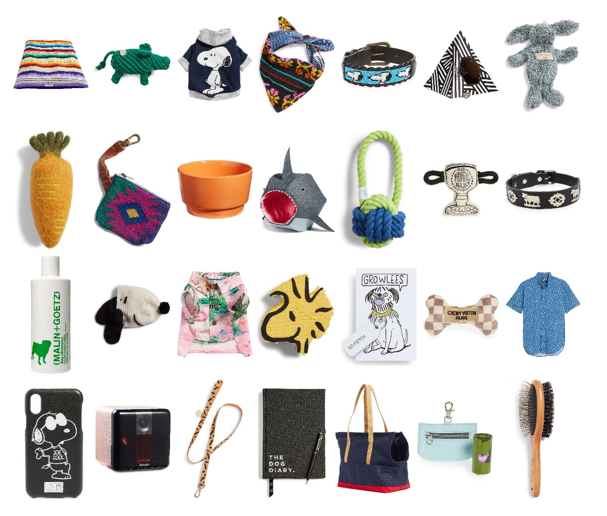 Curated by Olivia Kim, dog aficionado and Nordstrom vice president of Creative Projects, the shop will carry organic pet food, green cleaning solutions, beds, bowls, leashes and more from some of the top brands for the modern pet. The shop will also offer a range of exclusive apparel and accessories for humans and pets featuring the world's most famous beagle – Snoopy, from the comic strip Peanuts. "We wanted to find the best of the best pet products out there," said Kim. "It's everything you would want for the modern pet in your life that is not considered just a pet, but more of an actual family member. While it is the Year of the Dog, we wanted to make sure that we represented cats as well." Pop-In@Nordstrom Celebrates Year of the Dog is the ultimate destination to honor and pamper your loyal four-legged friends. Pop-In@Nordstrom partnerships have included: Pop-In@Nordstrom partnerships have included: Aesop, Alexander Wang, Converse, Danish home goods brand HAY, design-driven wares from Los Angeles based Poketo, Everlane, Gentle Monster, goop, Hanes, home goods from Liberty London's Flowers of Liberty collection, Nike, Opening Ceremony, rag & bone, the best of Korean fashion and beauty, The North Face, Topshop/Topman, the U.S. debut of Hong Kong fashion collective I.T., the Italian Trade Commission, VANS, and Warby Parker.